In this blog, we are going to share proven ‘How To’ insights on a major critical success factor required for successful digital transformation – creating your clear vision and strategy, objectives and targets. Your vision and strategy allow you to cement and communicate who you aspire to be, set your objectives and targets and provide you with a company-wide focus and road-map for how you are going to get there. Ultimately this will propel you to start (or reignite) your transformation journey. 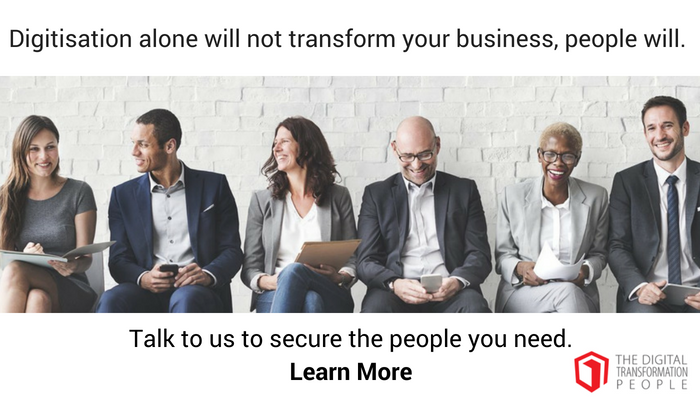 If you are currently struggling with effecting digital change in your organisation, it is reassuring to know that you are not alone; at Digital Works Group we frequently come across senior executives from diverse industries trying to get to grips with driving change in their organisations. From experience, a crisis usually drives a need and urgency to act, and while a focused action can be a solution, it is a great opportunity to use it as a springboard to outline a clear vision from the top and deliver change through consistency of purpose. We are often called to drive and implement a specific operational fix. While working across the organisation, it becomes apparent that it needs to be part of a clear vision and strategy to deliver more return and multiply the value of our engagement. Why creating a vision and strategy as part of your change framework will help you drive digital transformation. What is a digital change framework? Today, no business can afford to stand still. Digital has to be approached as an ongoing evolution. Before embarking on a digital change programme, it is essential to have a clear understanding of what your starting point is and the direction you need to travel. Creating your vision and strategy is an essential part of the process. In our last blog, we shared a proven change framework to drive successful digital transformation. 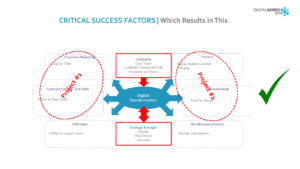 The digital change framework, built on 9 critical success factors, provides the blueprint to successfully move your business up the digital evolution curve and effect the wide-reaching change needed in a highly structured and methodical way. The success factors illustrated above are a combination of both strategic and executional criteria that enable you to develop the right vision, structure, processes and resources to successfully execute. Each capability is an essential part of the change jigsaw, to focus your approach, avoid common pitfalls and get the balance right. 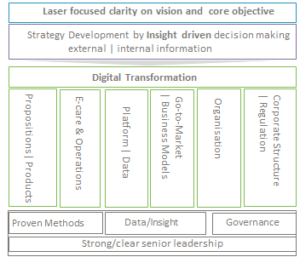 At the heart of any successful digital-led business is a laser focus on vision and strategy, objectives and targets. It articulates where you plan to go and how you plan to get there. It underpins everything you do and remains your everyday guide for driving organisational change. Is a plan that is understood by all, aligned with the company and personal objectives of all involved, supported and bound by the same culture and values. So ultimately, everyone pulls in the same direction (you can’t underestimate the importance of this). 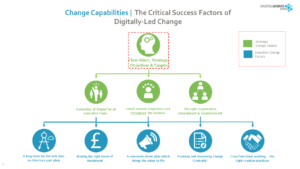 By developing strategic clarity and then balancing this with executional excellence you will start to reap the benefits of digitally-led success, optimising, growing and protecting your business. There is no getting away from it – developing a sound and workable strategy does require some ‘up-front’ thinking and time investment! BUT, the benefits that you will reap will be wide-reaching, and definitely worth it. What the business should look like – For example, is the aim for growth, new territory expansion or how to deal with the impacts of digital disruption or convergence? What is the current reality? Understanding your capacity to change; the operational pain, technical debt, morale, resource availability, cash flow, etc. How will it change? Understand the priorities, the immediate steps and recognise how your current reality will be affected. The role digital has to play with your business. This should encompass multiple viewpoints; the customer’s, employee and company. We have found the best way to create a clear vision and strategy is via a proven, systematic framework. The framework allows the strategy creation process to follow a structured path and ensures that, as a business, you are making the right choices. The planning phase is all about developing clarity, pace and control. Creating an approach that is planned, agile, iterative and engaging. It is important that you dedicate a period of time as a business for this phase. A consensus and absolute clarity on the primary objective of the business and how this fits with competition and major market trends affecting your business. How are you going to achieve it within the given timescales? You need to balance ambition with realism here… what is going to possibly stand in your way? What else is going on that will take people away from the task at hand? Both in the short, mid and long-term. Selecting the right strategic development methodology, steps, style, and management. Creating a full program plan including RACI. You will also need to decide what are the vision, mission and values that underpin the strategy? The vision should define the key cultural attributes needed for success, and how will these support you in the ambition to go from ‘good’ to ‘great’. Consider and identify what core values you need to be ingrained across the business? For example, do you need to be brave, innovative, committed, and entrepreneurial? More customer-centric, analytical and challenging? Ultimately you decide what mindset you need to drive to make this thing happen and be a success. All actions, behaviour, processes, and interactions (internally and externally) should work in harmony to drive the business forward effectively and efficiently to its desired destination. Remember – successful change has a lot to do with the ‘whole organisation’ being incentivised to change, taking them on a ‘journey of success’. You need to get people to buy into the idea of that change. This is a company-wide activity (and challenge). You also need to recognise the need for change is only the beginning and must be supported by a vision from the top, empowerment and consistency of purpose throughout the organisation. The vision needs to include priorities, ambition and outcomes, along with relevant KPIs. It should also take into account your appetite for risk and investments and overall enablers to the vision. You need to understand your capacity to change; the operational pain you have or will have, any technical debt and resource availability, cash flow, etc. This part of the process is about developing a comprehensive fact-base of insights and analysis on the market and the company. This fact-based insight will guide you in well-informed decision-making for your strategy. Desk-based research to understand regional, market sector, and market segment analysis in relation to the sector and other environmental factors, including good quality external relevant research by third parties, and, where needed, Structured interviews’ with all stakeholders: existing and future customers, suppliers, competitors, and core company personnel. Workshops – these are a great way to kick-start the strategic insight process, with an opportunity for impartial, focused review and test of hypothesis to understand what prevents and supported the business to reach its goals. A review and appraisal of any existing company strategy – known lessons, risks and issues. This is a critical step to provide deep insight and understanding of market dynamics and the company situation. If you miss this step you could be basing your strategy on a ‘hunch’ rather than hard facts. Realistic timescales are needed both in terms of planning and working through this insight phase. These facts can then be ‘poured’ into the strategic framework to choose the optimal mix of strategic execution methods to meet your core objectives. Now it’s time for the fun to begin – to roll up your sleeves and use the insights and the top-level plan to define your strategy. You should be developing a crystal clear direction for the organisation; how do we get there, building incremental detail over time. Methods and resources – for each stage of change. It should also identify the funding and investment needed for change to happen, calibrating the words and numbers. Is it realistic? Does it need to be phased? This should be supported by clearly articulated objectives of what needs to be achieved, as well as how this will be done and measured, with an absolute understanding of digital’s role within. Clear objectives. Your objectives provide your timeline and goals. The roadmap should cover the short, medium and long-term. Targets should be clear and adaptive with ‘agile’ execution methods delivered by digital and technology. Each working together to bring benefits to the business. This strategy was about strengthening the business model, growing revenue and EBIT, and enhancing the business capabilities leading to multiple growth. 3. A well-established mid-size publishing business came to us to understand if their retention activities were good enough to support their business objectives. Going through the above methodology, we identified that the core issues were with reporting, data and insights and lack of clear processes. Change, in this case, meant visualising and bringing to life what the business should look like in clear actionable and measurable ways. To ensure project success, it is essential to effectively communicate to all stakeholders who are involved at each stage of the process. It should not just be those with influence, sitting on the board of directors, or C-suite. It needs to be led from the top and cascaded down to the grassroots. During the vision and strategy building process, it is vital to work in a transparent, open and challenging manner. The importance of the communication element should not be underestimated. 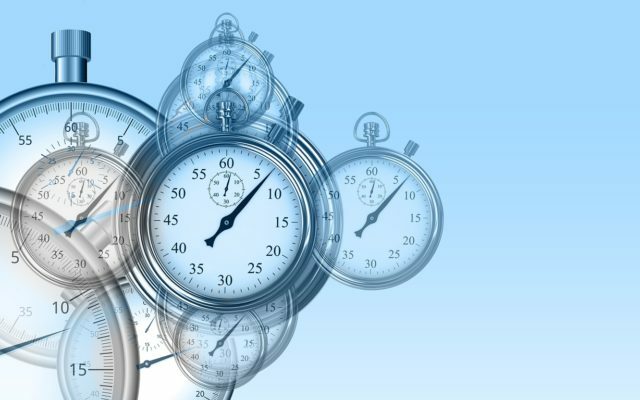 We see digital transformation efforts fail, not due to a fundamentally flawed strategy, but due to not getting sufficient buy-in across the business. Organisations who do not provide enough incentive to change run the risk of failure. Cynicism around digital transformation and change will nullify all your efforts. By collaborating and communicating at every stage you ensure you will drive an understanding of why you are changing, how you are changing, what the impacts are and the benefits it will bring the organisation – in some cases, this may be as fundamental as remaining competitive and staying in business. Think about how you can maintain regular loops of feedback during this process, and what would be the best way to keep everyone updated and engaged. Measurable: Ensuring success is measurable to allow adaptation and iteration as needed. Controlled: Delivered through a proven framework, where time and cost are controlled by a stringent program management approach. In our experience the best change programmes are ones that build project by project, using a framework that is flexibly structured and has the right level of programme support, as well as a margin of flexibility. This means that you don’t ‘boil the ocean’, but build on your successes, and learn as you go along, adapting to changing external market conditions, and real-life experience. By measuring success regularly you can build incrementally and make necessary adjustments to your plans as you go along. You can be both agile, structured and cost-controlled. We know that responding and adapting to digital disruption is not easy! But moving up the digital curve is essential to organisational survival and success. Ultimately businesses who continue to adapt and change will reap the benefits of growth and fight off increasing competition. In this blog, we have shared a tried and tested framework for approaching strategy development in a structured way. By doing the ‘up-front’ thinking, setting out your ambitions (backed by thorough insight) you can develop a clear, well-defined strategy and vision that will work. This vision, strategy and How To will guide you in the choices you make, the order you approach your digital change programme and help you identify where you should be investing for your biggest return. In our next blog, we will be taking a closer look at another key element of successful digital change – ownership of ‘digital’ by ALL of the executive team and understanding the critical role of the organisational environment and empowerment. Without sponsorship and agreement, your vision will remain just that. Get this right and you will bring it to life.